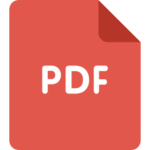 Aaron Receives FDA Letter of Non-Objection for PP Recycled Resin | Aaron Inc.
Leominster, Massachusetts (October 23, 2018)……Aaron Industries Corp. has received a letter of no objection from the United States Food and Drug Administration’s Center of Food Safety and Applied Nutrition for it’s recycling process to produce a blended post-consumer recycled polypropylene and post-consumer high-density polyethylene and post-industrial PP material that is suitable for food contact. The finished blended PP and HDPE material is intended for use at levels up to 100% recycled content in manufacturing single use food-contact articles, such as disposable cutlery and trays, caps, closures, and lids for food service. The finished articles may contact all food types under Conditions of Use C through G.
“This letter of no objection memorializes Aaron’s commitment to provide our customers innovative solutions to their recycled content challenges at attractive price points” Robert M. Tocci, Vice President of Aaron Industries, said. Aaron’s latest food contact compound, commercially referred to as ARPP200-NOL, will be in production and available for distribution on November 1st. Aaron Industries Corp was founded in 1983 with the purpose of bridging the gap between large resin producers/compounders and the smaller resin molders/processors. 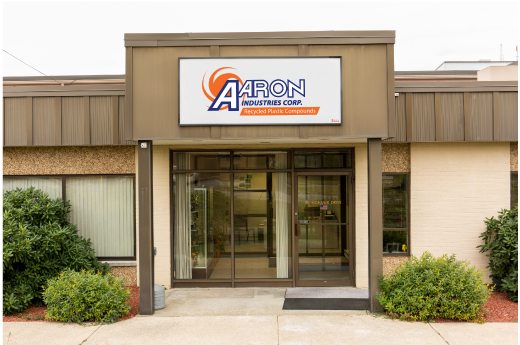 After more than 30 years of manufacturing and distributing polypropylene, polystyrene and polyethylene, Aaron Industries maintains these core principals. Our modern production facilities located in the “Pioneer Plastic City” of Leominster, Massachusetts includes a “state of the art” laboratory and over 100,000 square feet of production and warehouse space. Aaron continues to invest heavily in research and development to improve resin performance. Laboratory resources coupled with the dedication and innovation of staff enables Aaron to develop new compounds while controlling and improving resin performance.